In the Need Of Motivation! – 1Beginner! This is a 2 part series About an interesting subject of the Youth & this era. Staying Motivated. This is a quite long article. I strongly recommend you should read these two articles in detail in order to understand the science of Motivation. It took me about a week to complete this article(And 4 years of experience) & I strongly believe it would create a difference & value in your life. Reading time- 6-7 Mins. “A Bird Is Powered By Its Own Life & By Its Motivation.” – A.P.J. Abdul Kalam. Understand Motivation – I have a question for you! What is Motivation for You? I feel Motivation is something that lifts you higher. Motivation is something that ignites you from within. For Me, Motivation is my unseen support system. It is something that keeps you on right track & gets you off the hook of negativity. Motivation is something that gives you a dream or it is something that gets you started the journey of your Dream. 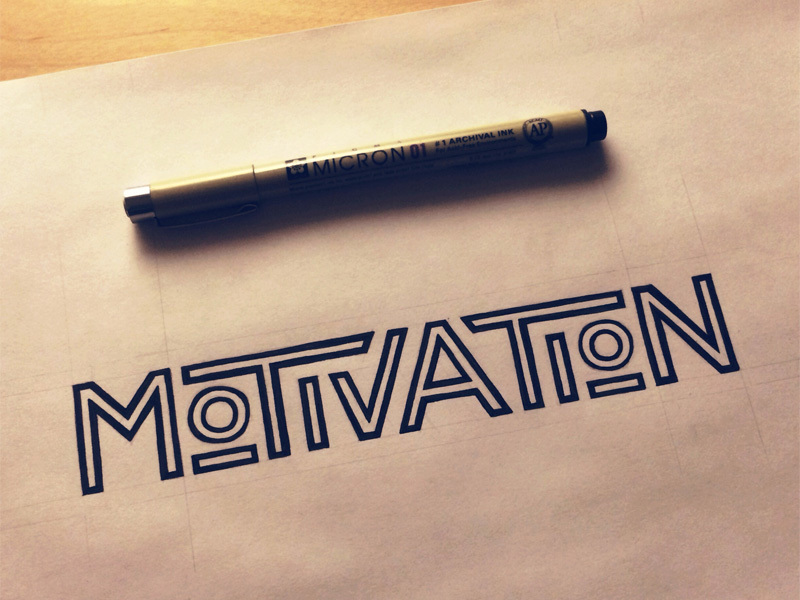 Motivation is the reason for people’s actions and Accomplishment. It gives you push to take the leap of faith & it keeps you firm when things are not going in your favour. It like your unseen friend which is there with you all the time in your good times & bad times. You need this friend the most in your difficult time when nobody is along with you. Yeah, for me Motivation is my friend, for me its something that keeps me in the Air above from mediocrity. Today we are going to talk about motivation factor (as a process), how it plays pivotal roles in our life. I strongly believe there is 2 kind of motivation, which I would be sharing in the later part of the post. Please hold on till the end in order to get the crux of the matter. Hey, Give Me Some Motivation! A few months ago, my cousin introduced me to a guy, who needed some guidance/clarity. The guy used to call me once a while. Whenever he used to call, I used to communicate with him about the art of self-discovery, exploring success, my views & philosophy towards life. One day he called in the morning while I was on my way to the office, He asked me can we talk for a while! Reluctantly I said yes to him, usually, I do not prefer to talk on the phone before 10.00 Am (unless it’s very urgent in my perspective.) He said I am calling you because I was feeling low, I needed some motivation, and hence I called you. I asked him whether it’s anything serious. He said – I have to face the interviews & I am not feeling confident, please motivate me! I really had no clue for his question! Still, I guided him, clarified his some doubts, tried to inspire him, finally I advised him to face the interview & concluded my conversation in about 7-8 mins. I was feeling very proud that someone called me to motivate him in his critical time but on the other hand, it made me think- Why he was in so desperate need of motivation? It was such a normal situation of life, it was just an interview! Why he was in desperate need of motivation from outside! I recalled – When I was in his age about 20-21, I never needed it. I neither had any mentor (was not even aware of such a concept as Mentor) nor someone in my family to motivated me. (My mother used to give me some tips to avoid fallacies- in fact even she was not aware of motivation as a process) I always used to face the situation head-on despite shaking, fear & uncertainties about success. When I see around people either talk about motivation or searching for motivation. I really wonder nowadays why everyone talks about motivation, almost every 5-6 channels(out of 10) on YouTube create, upload the content over motivation. In the past motivation was scarce, so it was very valued and appreciated, people have profound importance to the smallest tip of the advice from successful people. But Today it’s available everywhere, everyone talks about it, it’s in abundance. I feel it’s unnecessarily available, so it has become underrated. You can get it every minute, every hour of the possible day in a new way. Maybe that’s great. The quotes, messages with very deep meaning get circulated every morning just as communication starter or to just connect with that person. People wake up at 9.00Am and share the quote about the importance of time. They just share it without following it, in my view that’s criminal. Still, people do it, I don’t know why! But maybe that’s the reason the Motivation has lost its value, gravity & real intensity. It has lost its real effect. It has just become like a drug or pain killer which sue your pain for some time but keeps your disease right there, covering it for a while. Motivation has become like a patchwork! The profound point I want to make, most people talk about motivation but doing nothing in real life. They talk motivated and act demotivated. I have seen people see the motivational video, forwarding it to people. They do not absorb the message, so end up doing nothing than sharing. I feel motivational content has become a new source of Entertainment for people. My Mobile Keeps Me Motivated – I see people see & share a lot of motivated content all the time. I Have To Say They Are Not Self-Motivated But Cell-Motivated. It’s not their self but their cellphone keeps them motivated. This is nothing but an external source of Motivation. There is nothing bad in it but What if You lose the source? I.e. what if you lose your cellphone for a week? Who is going to motivate you? So, better than relying on someone/something else from outside, you got to rely on someone from inside. Do you feel seeing 10-15 motivational videos everyday help? I don’t feel so! Seeing Motivational content over content doesn’t help if it’s not supported by action! It’s not motivation or motivational video of some sort, it’s the action of any sort towards your dreams keeps you motivated. The massive actions, the discipline to take actions to keep you excited & motivated till you reach your dreams. Why Everyone Needs Motivation – Do we need motivation, Yes! I do agree that everyone needs motivation but it’s a different sort of motivation. I ask you a question! Why everyone needs motivation from outside? The motivation that comes from outside fades faster or immediately as soon as the Source/reference vanishes. The Motivation that I am talking about is something that stays within you. The motivation which should be inside out. Which starts from you & it always centred on you. No one can take it away from you. It’s your Inner Motivation. Nothing but Self-motivation. No one can motivate you better than you! If you want to succeed you got to be different. More than outside its an Inner Game! Successful people are always Self Motivated! They don’t look for someone from outside would wake them up! So, stop looking for Motivation All the Time! Keep yourself in Action! That would keep you self-motivated. Get Motivated But In A Right-Way! I need you to understand the Difference in sources of motivation & stay motivated in the right way. The Point I have to make here is both sort of motivation help you to move forward but one type is much more effective i.e. Self-Motivation. Which I feel is quite underrated. It’s a bit difficult to be Self-Motivated if you do not have the right perspective about yourself. The external motivation can be anything, it can be a book, the coach, mentor, Videos, your cellphone, your friend, your Partner, support system. It’s good to have such sort of motivation but the flip side of this is what if they are not there? What if the source vanishes? This motivation acts as a push in your life & after a while you get addicted to this push, you always keep looking for this push. And for some reason, if you lose this push, you come to standstill. You just get clueless & lead to nowhere until someone from outside generates the push for you. You got to stop relying on External Motivation & you have to motivate yourself. The Self-motivation is something like you unseen support system. It is like you calm, composed friend who would just nudge you a little in you good & bad times. External motivation may not be! Self-motivation is always there with you if you activate your system! It may not be exciting, glorifying like external motivation but it is always with you because it’s nothing but you. It’s about your soul, your personality & your whole identity. It’s Not Important to Get Motivated but Rather to Stay Motivated @MK. Only Self-motivation can do that for you! So, Stop relying on someone or something other than You! Your last line was awesome. Great post Mahendra! Pingback: In The Need Of Motivation – Part 2. – 1Beginner!